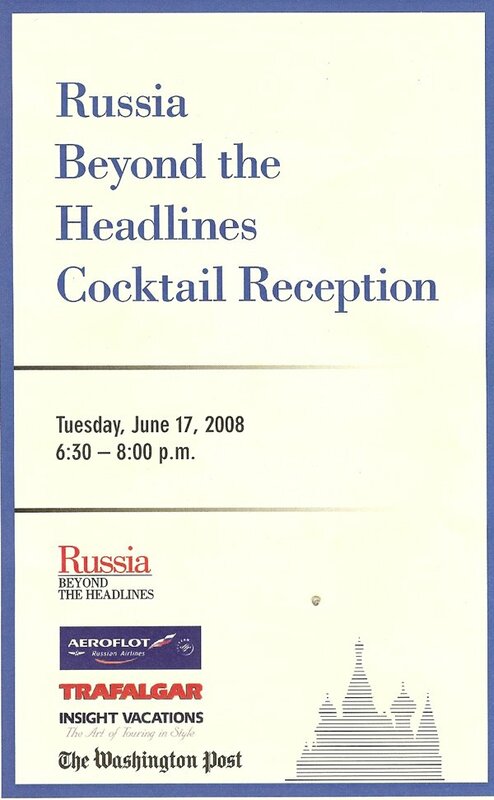 This evening, I attended the Russia Beyond the Headlines (RBTH) Cocktail Reception at the Washington Post building in Washington, D.C. I won a free ticket through an online contest, thanks to a tip from a friend who already found the answer. Katharine Weymouth – the publisher and CEO of the Post – kicked the night off by thanking all those present and praising RBTH. She schmoozed with the crowd for a few minutes and then disappeared to do whatever it is that newspaper heiress CEOs do. The room was amply stocked with three food stations – two for hot finger-sized dinner foods (though no pelmeny) and one for desserts – and an open bar serving Imperia vodka, water, and juice. Then, Nargiz Asadova – the Deputy Chief of RIA Novosti’s Washington Bureau and Ekho Moskvy hostess – introduced the Credo-Quartet, which played excellent music throughout the night. The highlight of the night was when a representative from Aeroflot presented a raffle prize to one lucky guest – an all-expenses paid, business-class trip to Moscow, St. Petersburg, and (I think) Nizhny. Alas, I will have to find another way to Russia. 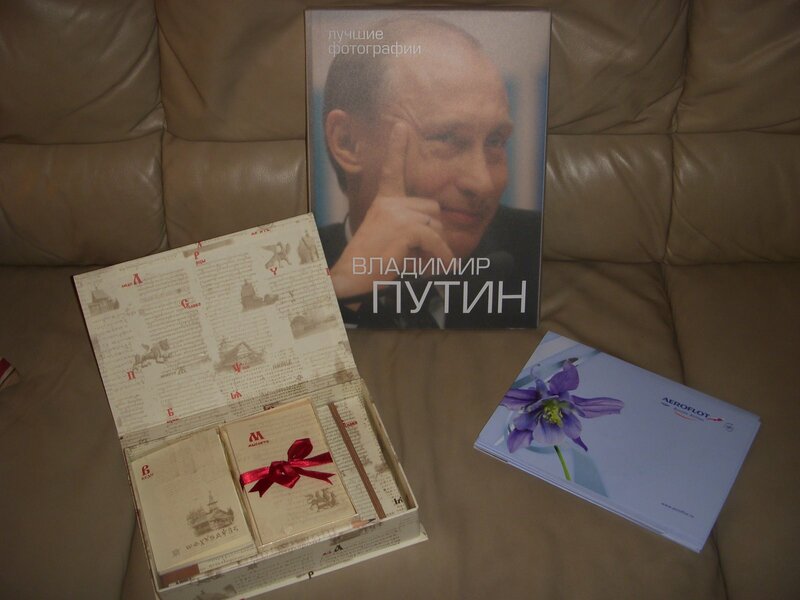 Finally, at the end of the event all guests were provided with some very nice party favors – a stationary set from Rossisskaya Gazeta and a giant book of Putin pictures. Overall, it was a very classy and enjoyable event and it was nice to see the healthy interest in Russia that still exists in the city (Weymouth said that over 1000 people tried to win tickets). This entry was posted in Russia Beyond the Headlines, vodka. Bookmark the permalink. To the author of this blog,I appreciate your effort in this topic.